About 2,12,823 candidates appeared for the Stenographer Grade C and Grade D posts’ written exam. Out of this total, only 4246 for Grade C and 30522 for Grade D have been shortlisted for the upcoming recruitment rounds respectively. Category: Stenographer Results 2016 Grade C and D.
Aspirants were waiting eagerly for the Stenographer results 2016 which has been declared by the commission now. So, the wait if over. Eligible candidates’ names will be on the list of the shortlisted candidates. Go and check the official web portal at the earliest. Shortlisted aspirants will get to appear in the skill test. Below are the instructions to follow and check your results and shortlisted list. Go to the official site ssc.nic.in. Click on “Steno “C” & “D” and Enter the asked details on the screen. The list will appear and check if your registration number is on the list or not. Your eligibility will now be known. To access the results directly without wasting any more second. Here below are the links. 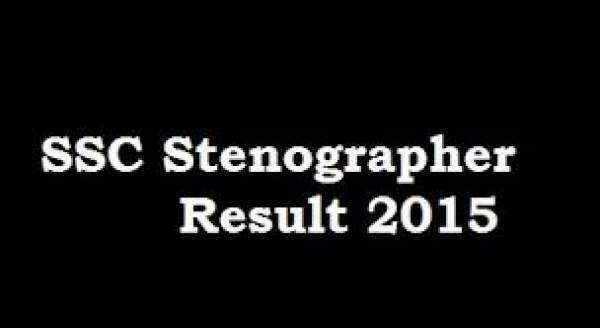 SSC Stenographer 2016 Result of Grade‘C’ Posts. Steno Results 2016 of Grade‘D’ Posts. A total of 34,768 candidates has been shortlisted for the next round, i.e., Skill Test. Now, the eligible candidates will have to appear as per the schedule which the commission earlier released. The complete info will be known soon.